The delegation of the armasuisse, led by dr. Hansruedi Bircher, head of the Science and Technology Department, paid a return visit to the Technical Test Center from 05th to 07th of October 2011. 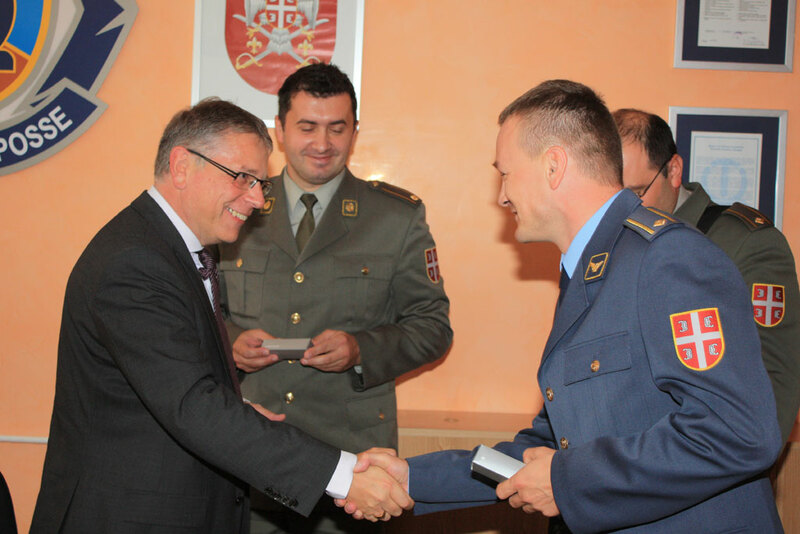 The Assistant Director, major Assistant Professor Radovan Karkalić and his associates received guests and than introduced them with history and activities of the Technical Test Center. 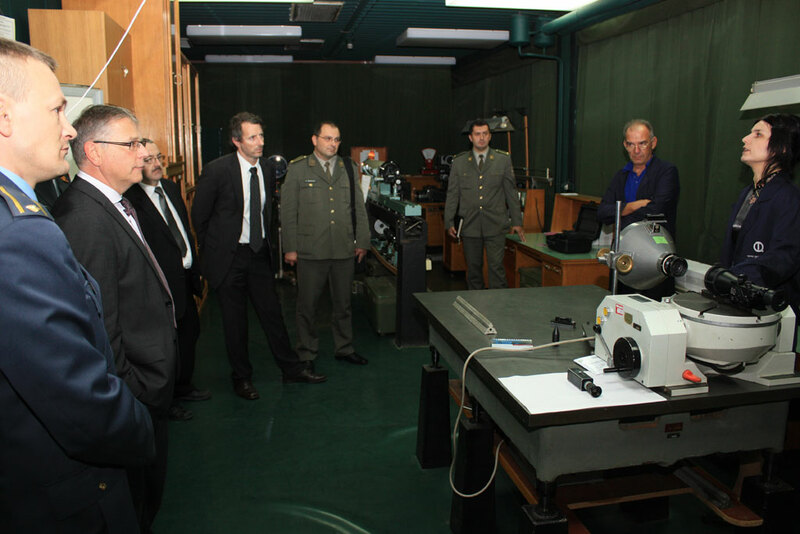 On the first day of the visit, the guests visited the Department of Electronics and Department of Metrology, where they were briefly informed about the possibilities, capacities and prospects of the these two departments, the possibilities for weapons and military equipment testing and measuring equipment inspection. 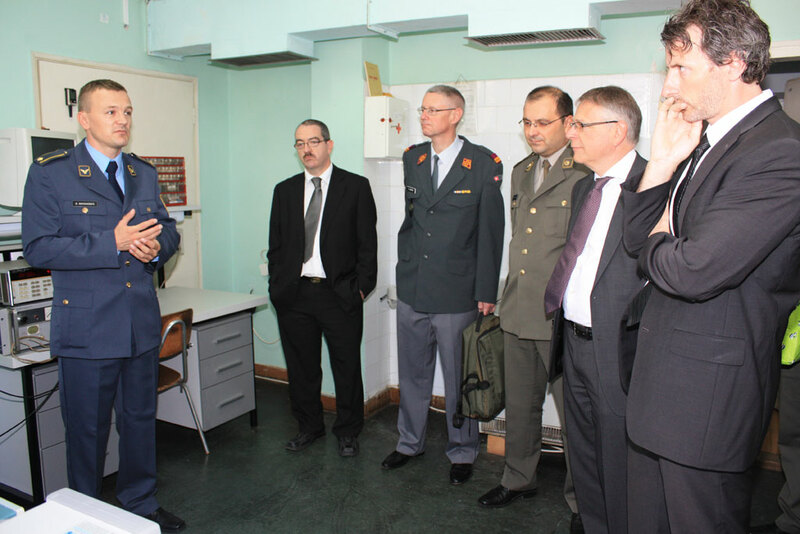 Then the guests visited several thematic sections on the 4th International Scientific Conference in the field of defense technologies "OTEH 2011", where they were welcomed by Deputy Director of the Military Technical Institute, PhD Zoran Anastasijevic. On the second day of the visit, guests visited Aircraft Department and the Flight testCenter at the Batajnica airport where they were introduced with the capabilities of the aircraft testing. During the visit, both sides expressed their interest for further scientific and technical cooperation for weapons and military equipment field testing, as well as active participation in the scientific conference "OTEH 2013".